Labatt Breweries of Canada has donated Canada’s most significant collection of historic corporate materials to The University of Western Ontario. At a ceremony today, Labatt’s President, Bary Benun, officially turned over The Labatt Brewing Company Archival Collection to Western President Amit Chakma. As part of the ceremony, Labatt also donated its Material Culture Collection of artifacts and original art to Museum London, where it will be accessible to the public for viewing. Among the most significant corporate archives donations, these two collections have been examined by the Canadian Cultural Property Export Review Board, and determined to be of ‘outstanding significance and national importance’ and of ‘historical cultural significance’. The collections are appraised at more than $8.3 million. With the help of professional archivists Labatt gathered, catalogued, itemized and organized virtually all its irreplaceable corporate documents. The materials illustrate the evolution of corporate governance and management models, and include market research; commercial advertising which mirrors Canadian cultural values and trends; research, technology and engineering materials related to brewing processes and innovations; and iconic images of corporate branding, packaging and memorabilia. 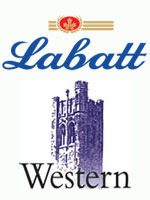 The Labatt Brewing Company Archival Collection is now stored and managed within the Archives and Research Collection Centre at The University of Western Ontario. Labatt also donated $200,000 to Western to assist in digitizing portions of the collection, which will help preserve some of the key content and make it more accessible.